Hi, everyone. 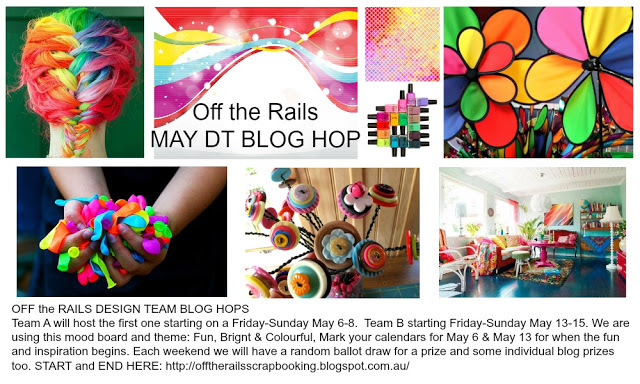 This month we at Off The Rails Scrapbooking are having a special blog hop. The theme is fun, bright and colorful. If not, do go over to Off The Rails Scrapbooking for the complete list. 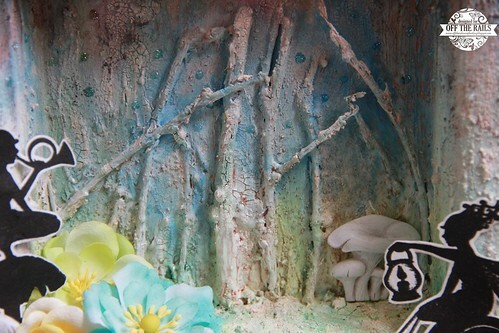 I gesso the whole paper mache shadow box, adhered some twigs with heavy gel medium. Then I cover the box with sand texture paste, crackle paste (randomly) and watercolored with Ecoline Liquid Watercolors. Love how bright they are. I did put a coat of gesso wash over to dull the brightness abit. Sprayed some mists inside box to highlight the crevices and cracks. Then distress the edges with black soot distress ink. Stamped and adhered 2 fairies along with Prima flowers and resin mushrooms. Lastly I used 3D Jewel paint to create little glittering dots (like stars). Have fun hopping. Thanks for dropping by. This is so cool Carol. I really like the direction you went with this project. The colours are fabulous and I love all the texture. This is so sweet Carol! Such lovely colours! beautiful frame! I love it! 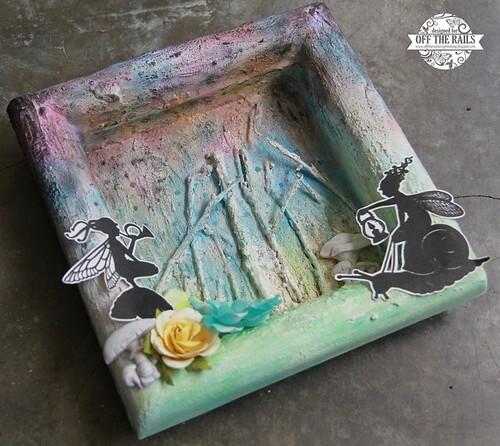 what a lovely project, just love the fairies!!! 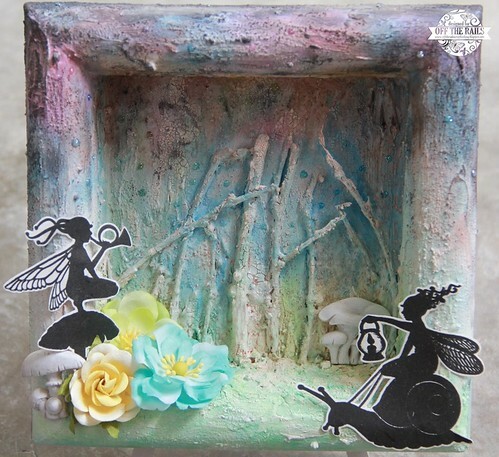 Carol, love the idea of a magical shadow box. It looks great. Oh Carol, this certainly is magical. And very very beautiful. Love it !